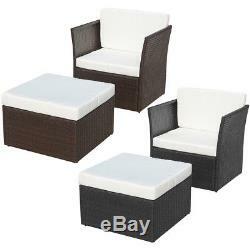 Outdoor Rattan Wicker Patio Sofa Chair Stool Set Garden Furniture Brown/Black. 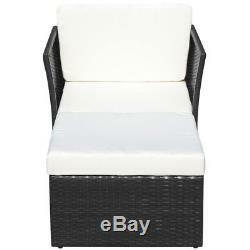 This stylish and functional rattan chair set will become the focal point of your garden or patio. 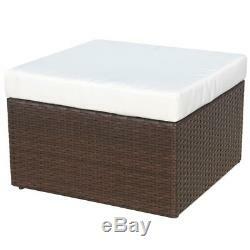 It is perfect for indoor and outdoor use year-round. The chair is constructed from sturdy powder-coated steel and high-quality PE rattan, which is highly durable. 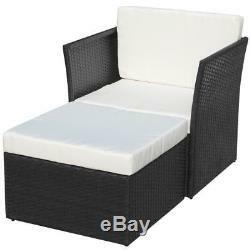 The thick, removable cushions are highly comfortable. Note 1: We recommend covering the sofa set during rain, snow or frost. Assembly is required; all tools, hardware and instructions are included. 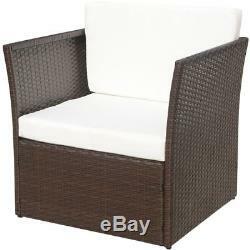 Rattan color: Brown / Black. 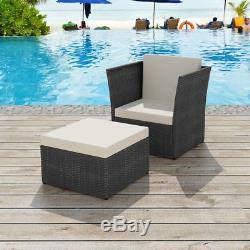 Material: Powder-coated steel frame + PE rattan. Cushion material: Polyester + cotton. Chair size: 30" x 26" x 29 (W x D x H). 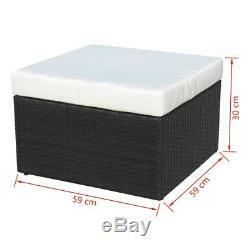 Footstool size: 23" x 23" x 12 (W x D x H). Our customer service will be happy to help. We look forward to your positive and detailed review with 5 stars. 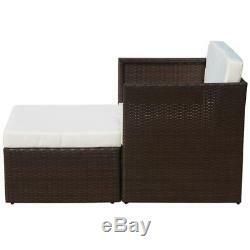 The item "Outdoor Rattan Wicker Patio Sofa Chair Stool Set Garden Furniture Brown/Black" is in sale since Monday, January 30, 2017.